Tap into your inner human calculator! possible and top the leaderboards! 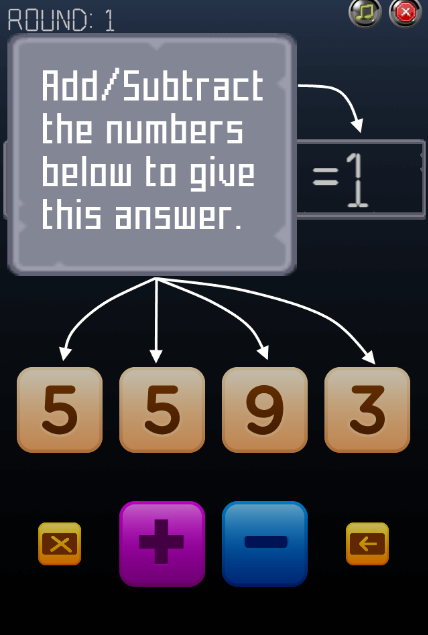 Ints is a very simple game about numbers (integers). How fast can you add or subtract the numbers 5,5,9,3 to make the number 1? Ints provides you with thousands of these problems and pits you against the world to find out who is the fastest human calculator.